While the old adage tells us to waste not and want not, all too often surplus food ends up uneaten. Canada's mounting amount of wasted food is costing consumers and cutting into the country's overall economy output. Canada's economy is losing the equivalent of two per cent of its entire GDP each year to food waste. According to a recent report of the Value Chain Management Centre, Canadian food waste is equivalent to $31 billion lost from the nation's economy. Put in perspective, the $31 billion estimate is higher than the combined GDP of the world's poorest 29 countries. As a point of reference, World Bank data found that Canada's spending on military expenditure is only one per cent of its annual GDP. Unfortunately, the $31 billion figure may considerably underestimate the true extent of Canada's food waste issue. As reported elsewhere, the estimated cumulative costs of producing, transporting, selling, and disposing of Canada's food waste exceeds $100 billion annually. Considering that food waste is a substantial economic drain on the nation's economy, the area should be ripe for potential intervention. While an estimated 40 per cent of all food produced in the country ended up in the bin, a 2013 report from the Guelph-based Provision Coalition found a lack of sufficient existing data on the sources and causes of food waste in Canada. The report's authors also lamented that many businesses were unaware of the amount of food they waste or its real impact on their profitability. Canada's private, public, and social sectors can and should be doing more to fight food waste. Join thousands of Canadians calling on our governments and grocers to help reduce food waste. While the cost of food waste piles up, all too often Canadian families lack regular access to healthy and nutritious foods. According to Food Banks Canada, over 850,000 people seek assistance from food banks every month, including hundreds of thousands of young people. With 13 per cent of the nation's population facing food insecurity, the call to action is clear. Fortunately, efforts are underway across the country to feed families with surplus food. The US-based Food Donation Connection coordinates food recovery from Canadian locations of Darden Restaurants and Chipotle. Operating in the Halton region, the charity Food for Life is recovering approximately 2.2 million pounds (nearly 998,000 kilos) of surplus food for the communities the organization serves. The city of Toronto has launched a Food Strategy to support a healthier and more sustainable food system in the city. Toronto's active Food Policy Council has worked for decades to improve food access, local food environments, and policy development. Food waste is among the Council's priority issues. The nation's largest food rescue program, Second Harvest, operates in Toronto and provides food for over 220 social services agencies. The organization's vision is straightforward, claiming "No Waste. No Hunger." Every day, they recover enough surplus food to provide over 22,000 meals. Canada is far from alone in fighting food waste. In late June, Toronto's Second Harvest attended a landmark food rescue conference at Harvard Law School. Co-organized by the Harvard Food Law and Policy Clinic and the U.S. Environmental Protection Agency among others, the action-oriented event convened hundreds of leading entrepreneurs, policy professionals, and practitioners to further innovations regarding reducing food waste and recovering edible food for people. Food waste is not an intangible policy problem. It is something we see every day. Each of us, as consumers and as eaters, can play a role. Nearly half of Canadian food waste is attributable households--what we buy, don't eat, and toss. 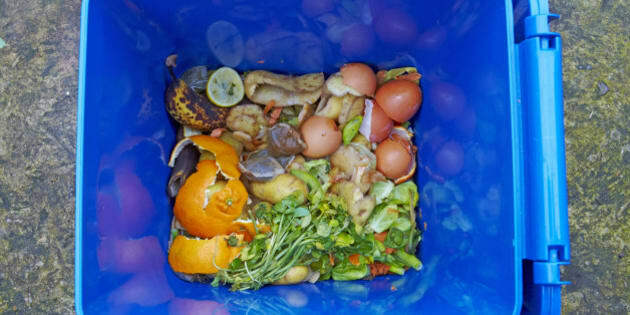 As the University of Guelph's Kate Parizeau recently discussed, the cost of food waste is as if everyone in Canada is throwing away $760 every year. Food waste is affecting the country's purse strings and heartstrings, with much good food wasted and many going without. Wasting less and feeding more is an achievable goal. Working together, Canadians can take a bite out of food insecurity.